State police say the driver fell asleep at the wheel about 1 a.m. Monday and hit the center guardrail. 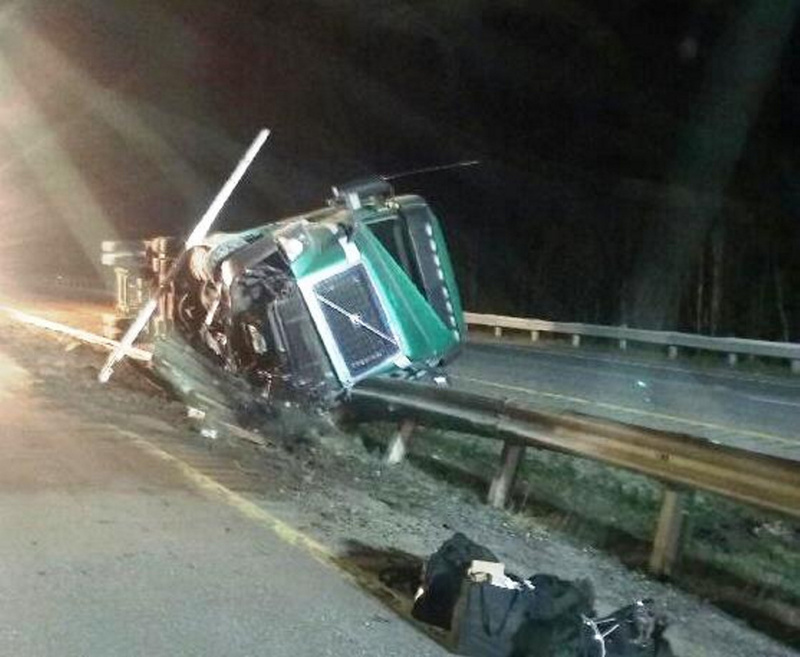 A tractor-trailer crash delayed traffic on the Maine Turnpike in Farmingdale for nearly 10 hours early Monday after the driver fell asleep and plowed into a guardrail, Maine State Police said. Traffic was down to one lane both northbound and southbound on Interstate 95 after the truck loaded with french fries crashed about 1 a.m. Monday. 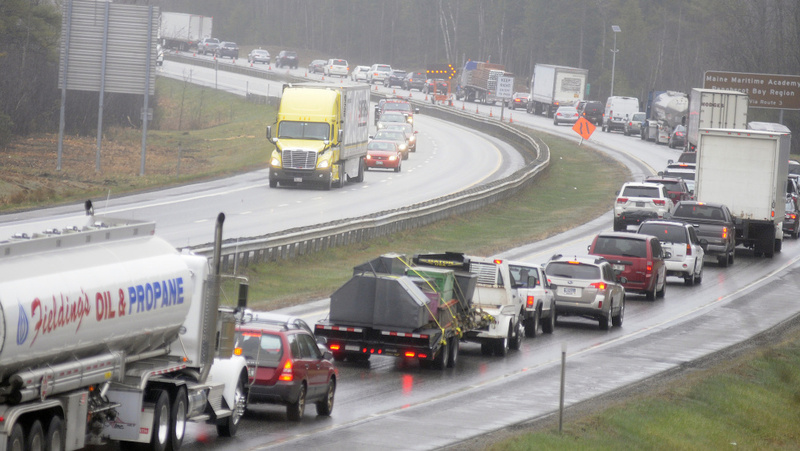 Maine State Police warned long traffic backups were expected throughout the day on that section of the interstate as crews worked to remove the truck and replace damaged guardrails. While both northbound lanes reopened just after 11 a.m., the southbound passing lane remained closed throughout the day so crews could repair the median guardrail. 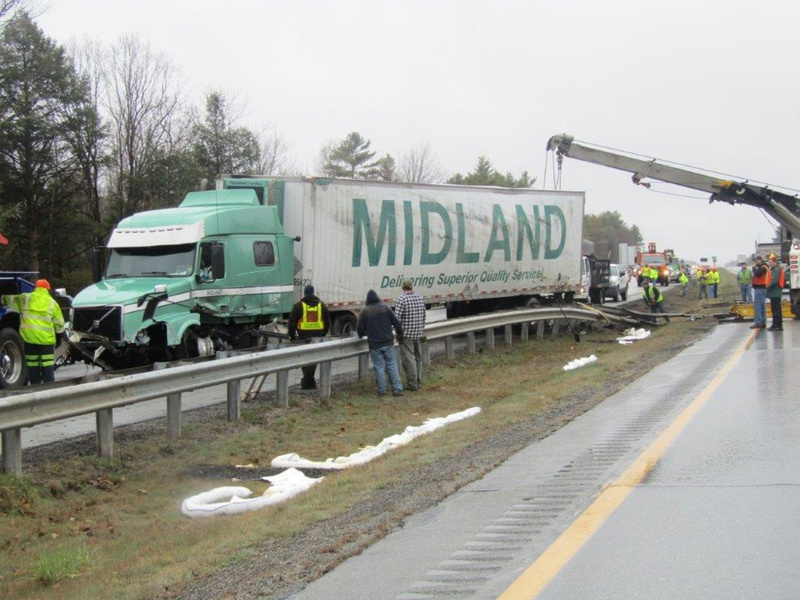 Driver Duncan MacPhee, 44, of Cornwall, Prince Edward Island, fell asleep at the wheel of the tractor-trailer, according to a news release from Steve McCausland, spokesman for the Maine Department of Public Safety. Neither MacPhee nor his passenger in the truck was injured. The truck struck the guardrail in the median near the Northern Avenue overpass and stopped on its side on top of the guardrails. Crews worked for hours to remove the truck. McCausland said around 11 a.m. that the wreck had been removed after causing delays on both sides of the turnpike. Maine Turnpike Authority crews will replace more than 100 feet of guardrail. The truck is owned by Midland and was traveling southbound near mile 105 when it crashed, according to a post on Augusta Fire and Rescue’s Facebook page. The Augusta Fire Department responded to the accident and Maine Department of Environmental Protection workers responded to pump out the truck’s fuel tanks.